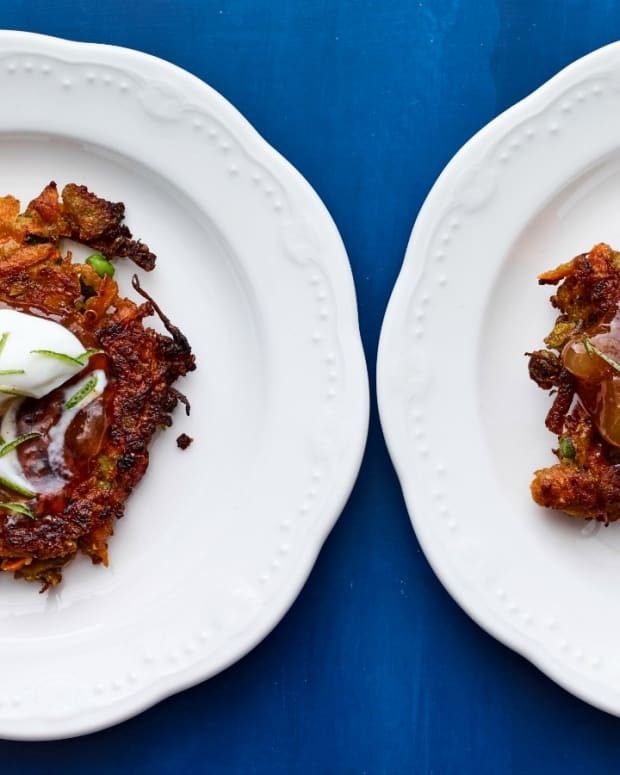 Crispy Apple Latkes are quick to make and delicious. 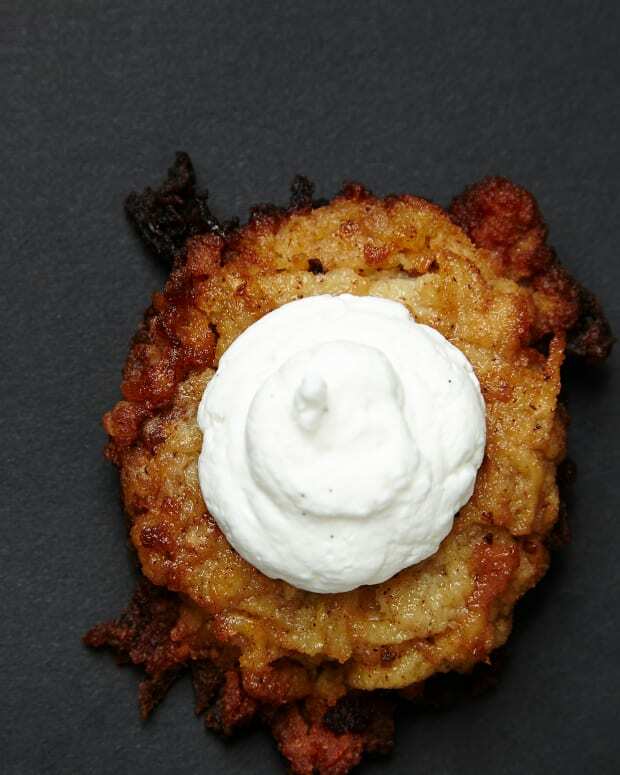 With a tempura, crunchy crust, apple latkes are a perfect alternative to sufganiyot. 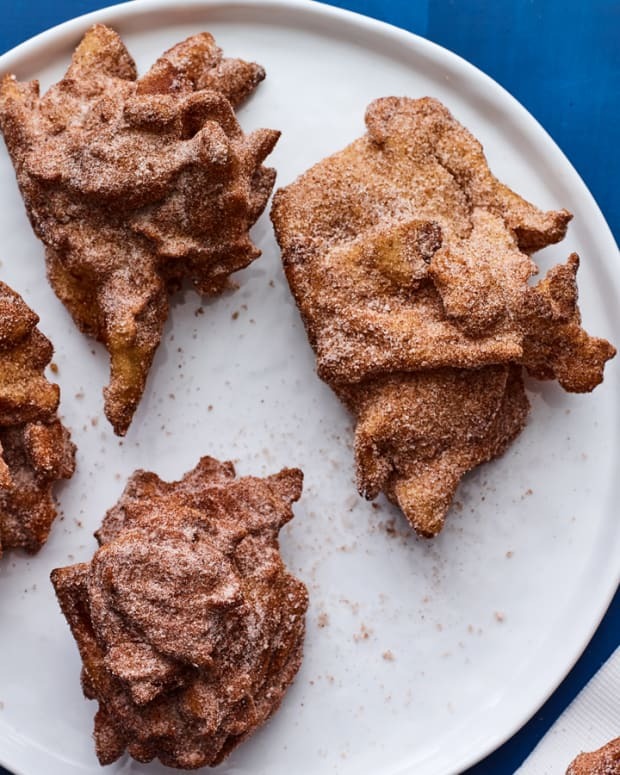 Served simply with cinnamon and sugar or a dollop of sour cream or yogurt, these are sure to become a family favorite. 1. Line a plate with several layers of paper towels. 2. In a medium bowl combine flour, rice flour, eggs, and ⅓ cup of water. Mix vigorously with a whisk until smooth; the mixture will be fairly thick. Add remaining water and mix again until the water is incorporated. 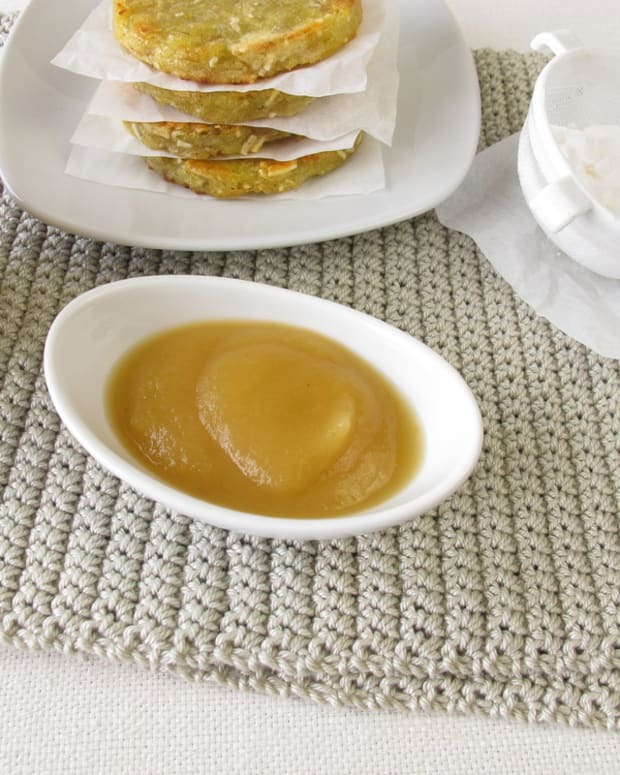 Stir apple pieces into batter. 3. Place sugar and cinnamon in a small bowl and stir together. 4. 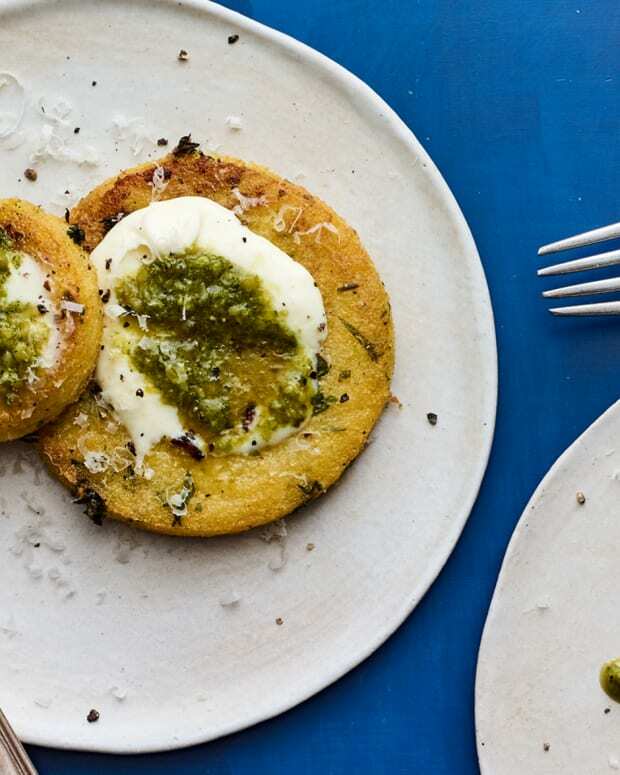 In a large, heavy frying pan, pour in evoo and place over medium heat. 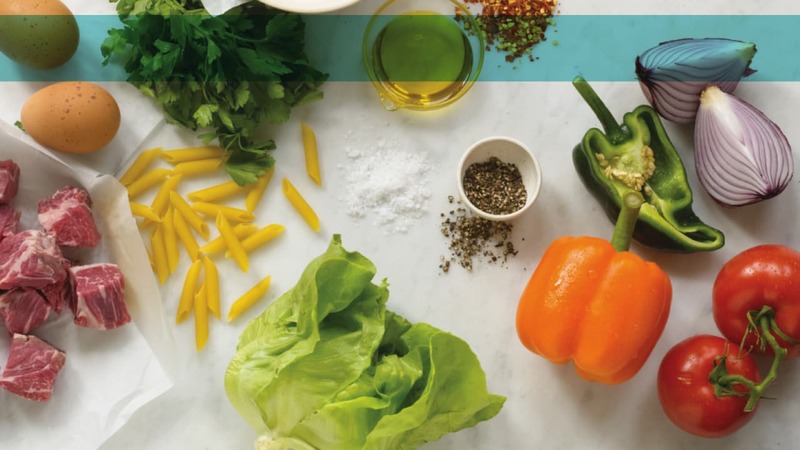 Once evoo reaches 365°F when measured with a deep fry thermometer, drop ⅓ cup of batter into the pan. 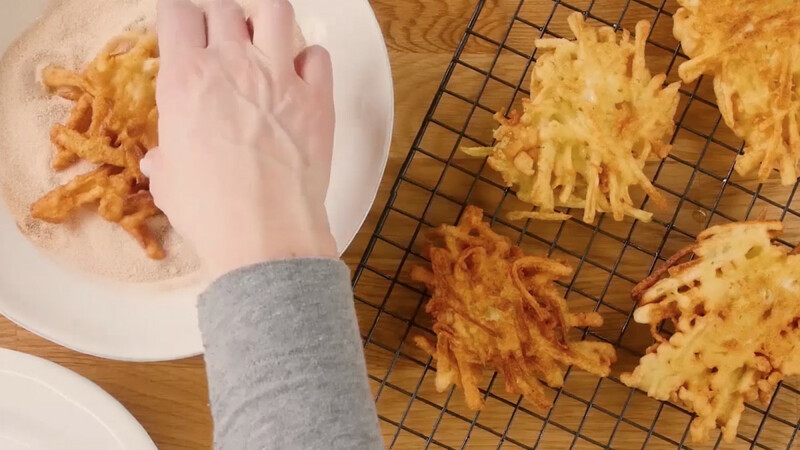 Using 2 forks, carefully separate and spread out the apples and batter to flatten the fritter to ½-inch thick so that it looks more like a latke. To keep from overcrowding the pan, make 4 or 5 fritters at a time. Cook for 3 minutes on each side, until brown and crisp. 5. 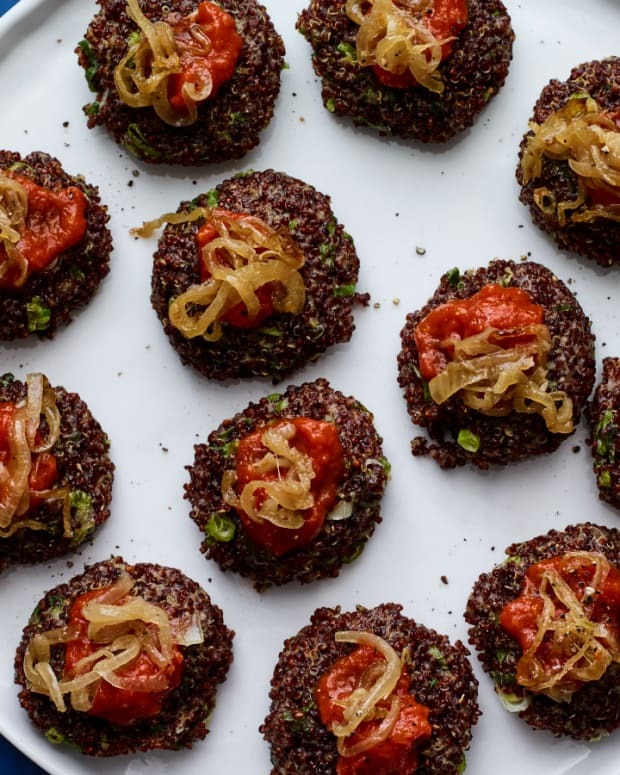 Drain hot fritters on prepared plate. Dredge fritters in the sugar-cinnamon mixture. Serve immediately.